Our warehouse consultants use their experience of warehousing to transform your warehouse management and stock control, optimising your materials handling. Successful distribution businesses are those that procure, store and move goods efficiently. They maximise their resources and set and measure KPIs to ensure their warehouse operation remains lucrative. Our warehouse consultants use their experience of warehousing to provide exceptional consultancy services that transform your warehouse management and stock control and optimise your processes and materials handling. Our expertise and knowledge, coupled with a strong mission to deliver, is what really makes us shine. It drives us to help you optimise your practices, processes and workflows for maximum profitability. Whether you are building a new warehouse or want to reconfigure an existing one, our warehouse design services provide an analytical approach that reveals the optimal size, layout, storage and handling equipment for your business. We analyse your sales, looking at your order line history, to assess in terms of quantity and value the amount of product picked per day and week. This evaluation ascertains the best design for your warehouse: how much product to store, what size the warehouse should be, the ideal configuration and layout of storage, receiving and packing areas, the size and height of your racking, what storage solutions to use, and which picking and distribution facilities to choose. We can also factor in future plans, such as new marketing campaigns, or a new product range or target market. There are many processes that go on within a warehouse: goods receiving, quality inspection, putaway, replenishment, inventory management, waving, picking, shipping, cycle counts and stock takes. If any one of these processes can be improved, you could make your entire operation far more efficient. For example, if you’re checking each order but only rarely encounter a mistake, then it is probably a better use of resource to only undertake spot checks. 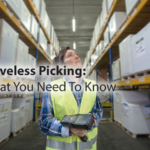 Or perhaps a different picking strategy would increase productivity, or maybe your stock could be arranged in a different layout that would facilitate the picking of a larger proportion of your orders. Our consultants undertake a process analysis to ascertain what could be improved, and produce a process map for optimised handling practices and workflows. What targets do you set for your warehouse activities? Are they the right targets? Perhaps you’re measuring the number of lines picked per hour. But if your stock includes thousands of products, for example if you’re a jewellery supplier, then the number of units picked may be the most relevant aspect to measure. Conversely, if you sell mobile phones to consumers, then the number of lines picked is a much better reflection of staff productivity. We advise you on your performance measures and setting the most applicable KPIs for your facility, thus allowing you to benchmark and appraise the success of your warehouse. Material handling equipment (MHE) is very expensive, so you don’t want to buy kit only to find it doesn’t quite suit your needs. Our experienced consultants can design and develop systems that fulfil your operational requirements, recommending the most suitable material handling systems for your business. Not only can we advise on mechanical and electrical items like forklift trucks, pump trucks, trolleys, weighing machines, and conveyors, but we can also recommend alternative warehouse storage equipment. You might gain better efficiency from redesigned picking trolleys, for example, either by segregating the orders or by facilitating more orders per truck. Every director in charge of a warehousing operation knows the importance of balancing the cost of inventory with product availability. You want to reduce the costs of stock you hold, but be able to fulfil customer orders. That’s why demand forecasting is such a key consideration in determining the profitability of a distribution business. This is a one-off analysis provides you with a detailed demand forecast. Looking at your stock and sales history, we can show you where you’re over or understocked and provide you with more accurate forecasts that model your projected stock requirements based on historical demand. 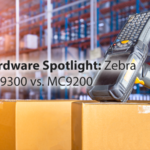 If you’re specifying for a new warehouse management system (WMS), our extremely capably consultants can help you to refine and detail your needs. Essentially producing an invitation to tender (ITT) document, we undertake a detailed requirements gathering process that covers what functionality you need from your software and the associated peripherals. In addition to the basic technical, software requirements specification, we include other elements that are tailored to your operation, such as whether the system needs to incorporate barcode scanning and printing, quarantining of stock, and so on. Many businesses spend thousands on creating a technical specification, only to have an IT provider question many of the requirements. 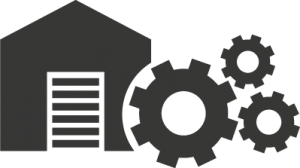 With our expertise in deploying warehouse IT solutions, we already understand the needs of your business and can apply that expertise upfront, saving you both time and a considerable amount of money.